The timeline of the development behind the song and video “Because of the Fear” is truly a lesson in Divine Inspiration. It began way back in 1981, when Guy Juarez, just 17 years old composed a beautiful piece of music. Unlike all the other pieces he was composing at the time, he didn’t write any lyrics for the music, but instead stored the piece for later. What he didn’t realize was the composition would remain unused for 26 years. Before we get to how the videos and song came together, let us first tell you a little about how the I.D.E.A. Foundation for the Benefit of Humanity was born. In January of 2003, Suzzan had a vision of a multitude of people wearing a button saying “I Commit to Humanity.” Then she saw the number 777,000, and was told that this was the number of people needed to change the way they think, the real meaning of the word “repent”, to create a critical mass that will change the world. When Suzzan asked about the smallness of the number 777,000, she was told that because this is the Fullness of Time, each person’s consciousness is expanding, and is now able to affect a very wide area. A few days after the first vision, Suzzan had another vision of a small circle of 13 people in a ring superimposed onto the Earth. Gradually in ever increasing circles containing more people, the circles spread out until the last circle covered the entire globe. Then from the center of the first circle, she saw a beam of light emerge and spring up like a fountain. This light then “sprayed” points of light throughout the world. The I.D.E.A. Foundation for the Benefit of Humanity was formed on May 1st 2003, and the task of locating the first 13 people began. Four years later, we have only found 7 people to be the board members for the foundation. Neither Craig nor Suzzan had anything to do with the selection. God led each individual to them. For instance, Guy was driving by our center one day, when he felt compelled to stop and go in. Craig was alone in the center and both he and Guy felt an immediate connection. At the end of 2003, Suzzan was given the outline for The Good News: An alternate Theory. Before continuing, we must emphasize that none of the 5 books or 3 screenplays written were created through channeling or automatic writing. All of the material is taken from the 13 years of studying more than 300 books Craig and Suzzan were guided to. In the summer of 2004, The Good News was placed on the web as a free document for anyone to read or download. The following year we published the book in paperback, with all the proceeds from the purchase price going to the I.D.E.A. Foundation. In May of 2007 Craig was moved to write a poem called “Because of the Fear.” About a week later Craig read the poem to some of our fellow board members of I.D.E.A. After hearing the poem, Guy said, “I have a piece of music I wrote sometime ago that I think would be perfect for the poem.” It was of course, the composition he wrote when he was 17 years old. A few weeks later, he brought his guitar and sang “Because of the Fear.” We all loved it. He had taken a poem about fear and by adding a chorus infused it with hope. While Suzzan was listening to the hauntingly beautiful song, multiple pictures flash through her mind. After they had all left, she understood that we were to make a video for the song. At the time, the only thing she knew was it was to be about fear and hope. In June, we learned of Al Gore’s plans to produce a huge production on Global Warming and Climate Change called “Live Earth” with concerts on all 7 continents on July 7th 2007. Later when the promotion for “Live Earth” began reducing the date to 7, 7, 07, all of us saw this as a huge sign of Divine help. This was further emphasized, when on the day of the event, some of the stages displayed the words GOOD NEWS. To be honest, we were a little surprised that the event didn’t have more of an impact. It almost seemed that everybody went back to business as usual the next day. We heard very little about it on the news and there has been very little follow up to the event. On praying about it later, Suzzan was given to understand that all the pieces weren’t in place yet. The day of 7,7,07 was only the start of the shift in consciousness. Activation and Advancement of Humanity and ALL Creation. A few days later, Suzzan was told that September 9th 2007 was a key date for us. This is because September 9th 2007 in numerology would be written as 999, which reduces further to 9 – 9+9+9=27 – 2+7=9. Nine is the number of completion, which precedes the number one, the number meaning beginnings. 2008 is a year one, 2+0+0+8=10 – 1+0=1. So it would seem that we were being prepared for a new beginning that year; a new beginning it was, in getting the Updated LCD Book to the Publishers and unleashing THE KNOW THYSELF INITIATIVE with all it's Archetypal ramifications. Anyway, after the event, Guy went into overdrive, adding more tracks to the song with different instruments. Moreover, he was moved to approach Mark Wartenbee the co-founder and lead singer of Guy’s former band, “Mr. Nobody” to do the vocals for the song. A few weeks later, he asked his former drummer Daryl Dunnegan to add drums to the song. In August, Suzzan was told to ask the talented Johanna Bocian to help with the technical requirements needed for the video. Johanna’s expertise on Microsoft’s Windows Movie Maker, and understanding of the operations of YouTube, was instrumental in making the message a reality. How this came about was as surprising as every other aspect of this story. The first verse begins with “The signs have all been given.” The multiple pictures of ancient sites are to show that throughout the world, every civilization has been given the information on how to progress. The first Chorus has two meanings. The first interpretation is to demonstrate how the ancient civilizations conceived of the Divine forces to be above them, as in the stars, the clouds and mountaintops. The second meaning has to do with the four planes in the Kabalistic Tree of Life. 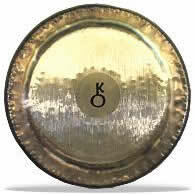 The first chorus represents the Archetypal or Spiritual Plane, which represents the element fire. It also signifies that access to the Spiritual Plane or Heaven is only possible between lives. The introduction and 2nd verse is to show the result of fear. It first explains that fear is the opposite of God and that a person cannot both fear and love God. The following scenes show what happens when fear takes control, and the result when another sect or race of human beings is seen as somehow less than others. The first European immigrants demonstrate this initially through slavery and the treatment of the native populations of America. The final scenes of this section depict the ultimate result in seeing an individual as less than human, by the actions of the Ku Klux Klan. The next section of the video shows how harmful it is when the Human Race begins to separate themselves from one another. Arguments and disagreements that would eventually be resolved between the parties blow up into wars, which in some cases can eventually involve the entire world. Scenes of devastation of the civilian population, which become refugees as they run from the conflict, are epitomized in WWI, otherwise known as the Great War. Unfortunately, although this was spoken of as the war to end all wars, just a few years later, the Nazi party was gaining ground in Germany. The horrific scenes of the concentration camps, where the Holocaust took place were extremely difficult for Johanna and Suzzan to work with. This section ends with the detonation of the atom bomb in Hiroshima, followed by short clips of the aftermath. Amazingly, despite the total devastation caused at Hiroshima, another nuclear bomb is dropped on Nagasaki a few days later. The next section depicts scenes in the 1950’s of the annexation of Tibet, by Communist China, forcing the Dalai Lama to flee Tibet and live in exile ever since, plus there are scenes of the Berlin Wall. The Berlin Wall was the ultimate symbol of separation, and dozens of people lost their lives trying to escape over it to the West. In addition, there are photos of the Korean War where African American soldiers fought alongside White, Caucasian soldiers. Unfortunately, this is followed by scenes in America of the struggle against segregation, epitomized by Rosa Parks and the Montgomery bus boycott. With the words “Every last thing has been set in motion, it begins with a Love that is here,” starts a brief respite in the atrocities. These include scenes of John F. Kennedy, Dr. Martin Luther King Jr. and Robert F. Kennedy, together with the flower children and peace marches. The above period is like the eye of a hurricane, when it passes, the full force of the storm returns, often much stronger than before the eye. Gradually the assassinations of JFK, MLK and RFK lead into a blur of images, which include the Vietnam War, Cambodia’s Killing fields, Apartheid in South Africa, Russian tanks rolling into Afghanistan, Northern Ireland, Genocide in Rwanda, Gassing of the Kurds in Iraq, Famine, Homelessness, Pollution, the Columbine and Virginia tech massacres, 9-11, Darfur and White Supremacy. At first Johanna and Suzzan thought this section should end with scenes from 9-11, but on Friday morning Suzzan was told to find photos of the abuse of Iraqi prisoners by U.S guards. Only one picture was included, the one of the female guard holding a leash, which is attached to a prisoner lying on the floor. Then Suzzan was reminded of the very first picture of the slaves with chains around their neck. The message of placing both pictures side by side at the end of this section, is to show how without our realizing it, we are repeating the same behavior. The energy and consciousness of slavery is the same as the soldier treating the Iraqi prisoner like an animal. After this there is a film clip of the atomic bomb that was detonated over Hiroshima. There are two reasons for placing it at the end of the 2nd verse. The first reason is to demonstrate how, if we don’t break the cycle, we are all heading for destruction, symbolized by the bomb. The second reason is to show that despite all the atrocities carried out by human beings during the last 150 years, the incidents at Hiroshima and Nagasaki far outweigh anything else that has ever been perpetrated by anyone! This is because the detonation of a nuclear bomb is the opposite of Creation or the Big Bang, which turned energy into matter and brought forth life. When the bombs were dropped on Hiroshima and Nagasaki, not only did the action reverse creation, but in taking life, as a race we broke a universal law, and affected not only our plane of existence, but the non-physical planes as well. Enough of what the Human Race has done, the intermission between the first and second half featuring the melodious sweet choral voices and the dulcet sounds of the harp show how to break the cycle of fear, judgment and reaction. Truly, everything is possible in the presence of peace. The universal symbol for peace, the dove with an olive branch in its mouth has relevance to 3 of the 5 major religions, Judaism, Christianity and Islam. This is because all three religions recognize the Old Testament. The dove with an olive branch in its mouth is in the story of Noah’s Ark, where after the flood he sends out various birds to see if it is safe to leave the ark. Only the dove returns with an olive branch from dry land signaling that the waters have receded. The intermission ends with showing how Heaven begins to reconnect to the Earth. The angels start as mystical figures in the sky, and then they are depicted on earth. The 2nd chorus begins with famous people interspersed with sunsets, waterfalls and butterflies. These are acknowledging a small sample of the Earth Angels who are making a difference to the world. Something that needs to be said here, neither Johanna nor Suzzan decided who to place here, God did. You will notice that there are several people that are no longer with us. They are included not only to acknowledge their contribution to Humanity, but also to show that their spots need filling. We regret that we couldn’t include CNN’s Heroes in this section, but we couldn’t find a way to include their pictures. We should like to have incorporated them all, as they are the perfect example of an Earth Angel. Having said that, we have been moved to create a section called Earth Angels in this and the I.D.E.A. Foundation’s web site. At first it will only have the Earth Angels in the videos, but we hope to add others to it over the following months. If you know of anyone who you consider an Earth Angel, please feel free to nominate him or her. The details of how to do this are on the main page of Earth Angels. The 2nd chorus also represents the two middle planes on the Tree of Life, the Creative or air/mental plane, and the Formative or water/emotional plane. This represents the descent of Heaven to Earth depicted by the various scenes between the Earth Angels. The 3rd verse shows the Earth Angels in the form of multiple organizations that are helping their fellow human beings. In this section are included short clips of the work of Doctors without Borders in the refugee camps in Chad. Photos of religious buildings and figures of the 5 major religions follow this. You will observe that ALL 5 major religions are included as ALL are involved. Finally, the 3rd chorus represents the Active or physical/earth plane. This is depicted in the scenes of paradise on Earth and represents Heaven on Earth. The video ends with the beautiful faces of children interspersed with the Earth Flag. These photos represent our future and show that there is still time to break the cycle. Although the first half of the video portrays portions of the Human Race’s inhuman acts to their fellow human beings, the message of the video is not one of condemnation. Rather it is a testament of how the Human Race is caught in the destructive cycle of fear, judgment and reaction. Even the perpetrators of some of the most heinous acts are driven by fear. Often their actions can be the result of the fear of losing status or becoming irrelevant. So after prayer and reflection I realized the ego in me was quick to list myself as the producer. This is largely misleading. I don’t want anyone to ever question my part in the making of this video. I was merely an instrument. Any of us could have created it (or played a part in some other way) if we were open to being led. So, I very aptly changed my credits to be “Technically Constructed by, Johanna Bocian.” I believe this truly reflects my role in the video. I stuck the videos that I was told to stick in. I adjusted the timing according to what I was led…there were times I didn’t understand why I was putting a certain picture in or taking one out, or changing the order, then BOOM, it all fit perfectly in a way I could have never done on my own. I truly feel blessed to be a part of the process. All of us at the foundation have been chosen in order to spread the message of love. The point of both the videos is to change the minds and hearts of a minimum of 777,000 people. Sounds like a very small number considering the population of just one large city would cover it. Well, think about it, the good of one worker can help HOW many people? How many lives could one doctor save? It only takes one voice to make the difference. I’m trying to do my part; I’m encouraging you to do yours. Unfortunately the names God, and Christ (not Jesus’ last name), as well as some others, have undergone the process that was just described, and many people today suffer misunderstanding because of it. Many words associated with the Christian Religion actually invoke a mental gag, or shutdown response when used in communication with an idea or thought. These words we speak of have been incorrectly or over used to such a degree that many people no longer want to hear them. This is most disturbing because the divinely inspired writings and teachings were given to help us identify and participate in the evolutionary chain of events so rapidly now taking place. There is just one thing more we would like to address about using God in the credits. When we use the term God, it is not exclusive to any specific religion. Rather, we mean it in reference to the spark or if you prefer energy that is within every human being. The ultimate message of “Because of the Fear” is that it will take all of us to get involved, and that we have Divine assistance. All of us involved in “Because of the Fear” were merely the instruments God used in His Divine Plan to tell Humanity how to save the world. Everyone at I.D.E.A. believes in the innate goodness of the human spirit and therefore have hope and faith that enough of Humanity will all rise to the occasion to create a critical mass for change. WARNING! WARNING! These images are very graphic and may be quite disturbing to the viewer. 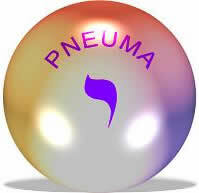 Click here: To view Graphic PNEUMA-YOD Video Images.